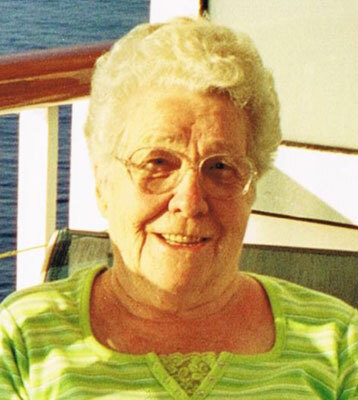 NILES – Marie K. Davenport, 88, passed away on Friday morning, March 14, 2014, at O’Brien Health Care Center in Brookfield. She was born in Warren on June 14, 1925, a daughter of Thomas A. Treharn and Clara A. (Brockhoff) Treharn. She married her husband, Edward Davenport, on Dec. 24, 1959. Marie was a Charter member of the FOE No. 3298 on Meridian Road. She enjoyed going bowling, playing games, and scratching lottery tickets. Marie is survived by her three daughters, Diana Jayne Kelly, Carol Jayne Martin, and Deidra (Mark) Carhart; two sons, Howard (Linda) Joseph Jayne and Edward D. “Buck” (Penny) Davenport; 10 grandchildren; and eight great-grandchildren, Kylie Sirb, Caitlin Sirb, Alexis Gallagher, Ella Reed, Allie Reed, Tyler Reed, Eric Gard and Kevin Gard. She was preceded in death by her parents; her husband, whom passed away on March 20, 2000; three sisters, Johanna Bills, Clara Epler and Helen Leasure; and six brothers, Evan, Alex, Robert, Bernard, Charles, and William Treharn. Funeral services for Marie will be held at the Lane Family Funeral Homes, Madasz Chapel, 6923 Warren-Sharon Road, Brookfield, OH 44403, on Tuesday, March 18, 2014, at 11 a.m., officiated by Father Thomas Krazewski. Friends may call on Monday, March 17, 2014, from 5 to 8 p.m. and one hour prior to the service on Tuesday at the funeral home. Entombment will take place at Green Haven Memorial Gardens in Austintown. Please share your memories of Marie.